Interview with Steiner Germany representatives - Interview with Adrian Warwas - Head of Export Non Hunting Channels in Steiner - AllBinos.com . Question: Let's start with some history. When and how did the Steiner binoculars' history start? When were the first models launched and what were their parameters? Answer: The pioneer Karl Steiner established the STEINER-Optik GmbH STEINER 1947 in Bayreuth. The first product was not, as expected, a binocular, it was a camera called Steinette. In 1950 STEINER created the first binocular and it was a 8x30 model. The first product of Steiner company - Steinette camera. Q: In your opinion what model of Steiner binoculars, produced by the company so far, is the most interesting and why? A:NightHunter Xtreme and Commander XP as both product groups have been created for a professional use by experts in different fields (Hunting and Marine) and assure them the highest optical quality and a comfortable and secure handling. Those binoculars are unequalled in optical performance, technology, ruggedness and functionality. 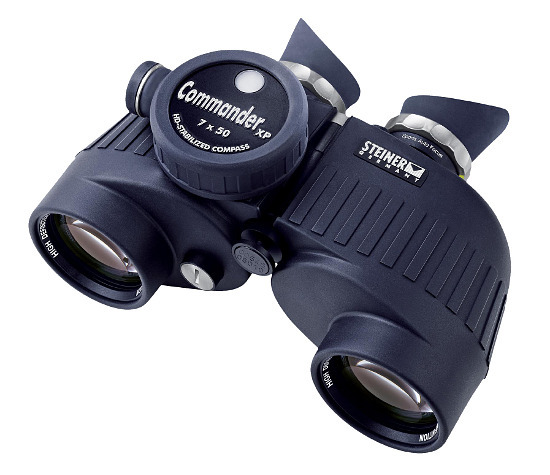 Steiner Commander XP 7x50 binoculars with compass. Q: Why, in your opinion, have the Porro system binoculars been disappearing from the offer of different reputable manufacturers? After all it is a much cheaper way than roof prism devices to produce good optics. Also in the case of Steiner, we see a clear tendency to withdraw Porro binoculars although they used to dominate in its line-up not so long ago. In the top-of-the-range NightHunter series roof prism 44 mm models were added and the whole porro-prismatic Ranger series was replaced by roof prism Ranger Pro devices. Could you explain such a policy? A: STEINER got famous with Porro prism Binoculars and this is still our driving force. In our segments Marine, Hunting and Outdoor we have min. two porro prism binoculars. With a ultra sharp and innovative coating technology. The trend and customers preferences are in slim design which can only be fulfilled by a roof prism model. Customers even accept a higher price for same optic performance. Q: Steiner is a German company. Some of other German companies have moved one part of their production to factories situated in foreign countries, especially China and Japan. Has Steiner followed that trend? A: That is true: STEINER is 100% a German Company. Our major suppliers for raw materials are located in Germany but in a globalised world materials and components are often from different origin. Q: In one of Steiner catalogues I've seen a picture of a NightHunter pair of binoculars which is being placed under a wheel of a SUV. As far as I understand it suggests that the body of the binoculars in question is very durable. What exactly is it made of and what exactly can provide such durability? A: STEINER uses the fibre reinforced, non-corroding polycarbonate Makrolon® of BAYER to ensure highest ruggedness and lifetime precision. This high tech material is also used in Air- and Spacecraft design. Advantage of this material: extreme ruggedness, unbreakable, non-corroding, shock-resistant and environmentally friendly. Q: In old 8x30 Porro constructions the emphasis was on wide fields of view. For example the Nikon 8x39 EII model, still available on the market, features a field of view as wide as 8.8 degrees and the Swarovski Habicht 8x30W - 7.8 degrees. 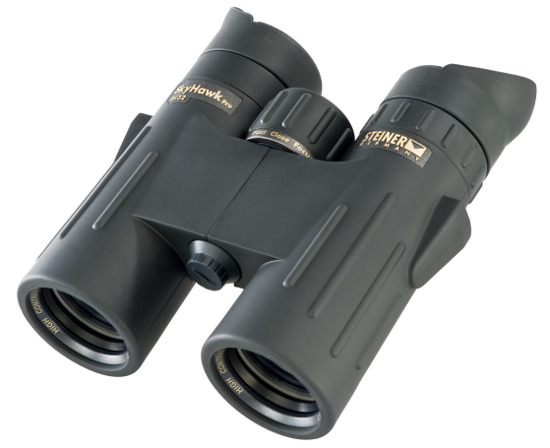 Meanwhile the Steiner 8x30 binoculars boast fields of view just on the level of 7 degrees. Why are they so narrow? A: Field of view depends always on the magnification, and optics design. Studies show that the human's eyes ability of seeing a sharp picture is roughly limited to this FOV. Wide angle optics have the disadvantage of distortion which is very uncomfortable to use. Q: Steiner offers a really wide range of specialized binoculars, designed for Military or Police forces. How is the market for such equipment divided? I mean do these specialized pairs of binoculars constitute a significant part of the Steiner production or are they just peripheral to it? A: STEINERS history is closely related to the military and law enforcement sector. As a market leader in this sector we have supplied Armies, Navies and police forces in more than 70 countries world wide. Q: How is the selling of specialized binoculars organized? Are they available permanently on your offer or are they produced only in big batches for special government commissions? A: Most of these products are tailor made to the customer’s desire. Q: Most of companies which produce sport optics offer also spotting scopes and rifle scopes, sometimes also stargazing equipment. Steiner produces just binoculars. 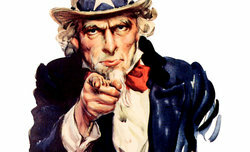 Are you going to enlarge your offer in the future? A: Our strict focus on binoculars has helped us to become a world market leader in this segment. Q: This year some new NightHunter Xtreme models were launched, which are supposed to boast even better coatings (and the transmission level) than their predecessors from the XP series. Why did you decide to withdraw from the market a very well-done 7x50 model which was offered as an XP device but is not featured in the Xtreme series? A: After 10 years successful history of NightHunter XP, we introduced the successor NightHunter Xtreme with a different design and a new revolutionary Diamond Night Coating for an outstanding optical experience. NightHunter 7x50 has been taken out of the market last year as the demand from the market was too low. There is a global trend in hunting binoculars away from 7x50 what has made this segment too small. 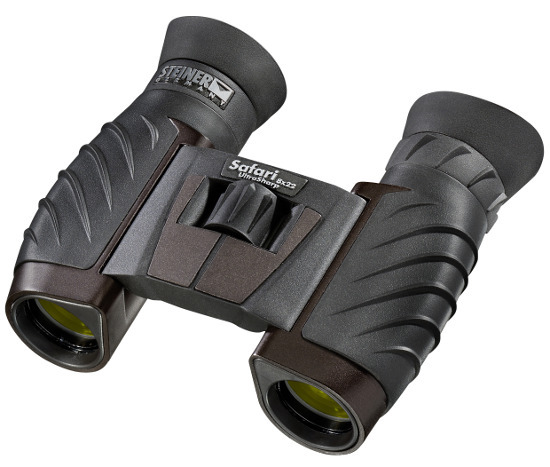 Q: Steiner features two families of roof prism binoculars which look pretty similar. I think here about NightHunters 8x44 and 10x44 and a bit more expensive Discovery 8x44 and 10x44. Both series are top-of-the-range when it comes to quality and price. What's the difference between them, though? A: Except of the housing they are completely different. Major point is a different coating. Secondly Discovery has Dual Precision Setting which offers the user the opportunity to adjust focus for each eye independently. Furthermore Discovery is the only binocular allowing balancing up to 10 diopter difference in eyesight and has a Distance-Control-System which helps you to preset your binocular to the desired observation distance (little move of finger will be enough to focus on something in the observation area even quicker). Q: Steiner's offer for European and American market differs greatly. Where do these differences stem from? A: The American market is completely different from the rest of world! As a market driven company we offer products tailor-made the needs of the US market. Q: On the American market you can find top Steiner binoculars with such parameters as 10x50 or 10x56. These are excellent night devices for older people which pupil doesn't dilate to 7 mm and they can be used in hunting and astronomy. Why aren't they available on the European market? A: We concentrate on the most demanded specification and products. This is a part of our understanding, of being binocular specialists. Our market analysis has revealed that in North America there is a strong trend toward higher magnification while in Europe people prefer rather slightly lower magnification. Q: Currently there are no binoculars with high magnification ratio on the Steiner's offer. The situation used to be a bit different - it's enough to mention here Rallye or Observer models. Is the company planning a launch of those devices' successors? A: As the demand from the market for high quality and premium priced products is too small, there are up to now no plans to launch such a product again. Q: The Steiner company's offer is quite diversified; you can divide it into three basic groups: products aimed at hunters, fans of bird and nature watching and marine binoculars. Which of these are selling the best ? 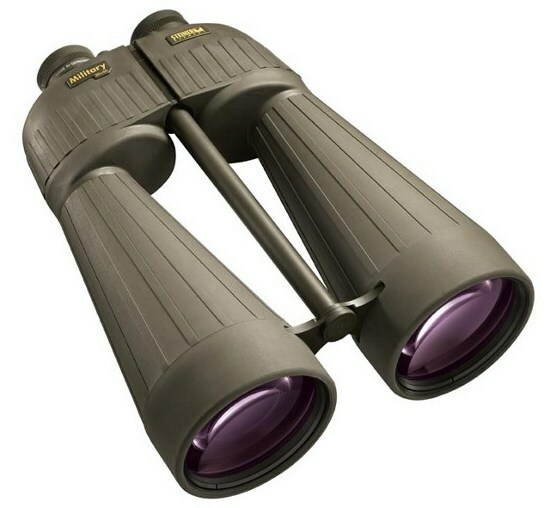 A: General purpose on outdoor compact binocular at price points up to 200 EUR are selling in higher quantities. Steiner’s Safari binoculars are world wide best selling products in this segment. Steiner Safari Ultrasharp 8x22 binoculars. Q: Is the Steiner company going to include binoculars with image stabilization into its line-up? A: No, we do not have such plans! 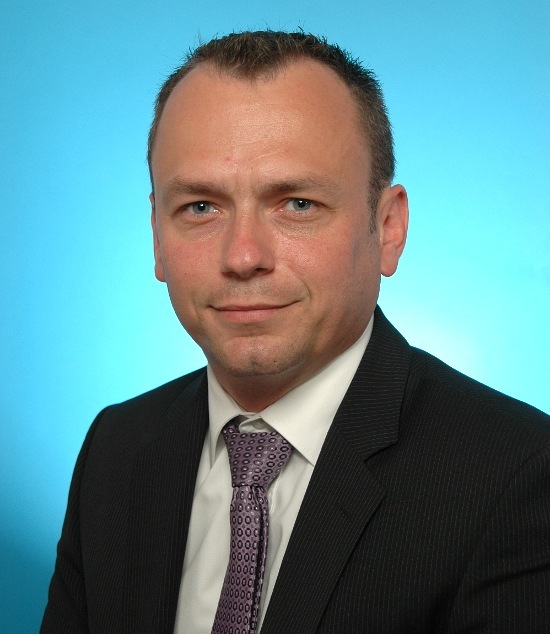 Q: How does the Polish market presents itself among other European countries from the Steiner company's point of view? A: According to my opinion Poland is a pretty young market for segments which we are offering. Historically Poland has a very strong relation to hunting but nowadays people get more active in Outdoor and spend more time for leisure activities as well as for travelling. Therefore the demand on our products for Outdoor, Bird watching and Marine grows significantly in your country from year to year. Poland is a very important market for us and will be one of the biggest future markets in Europe. Q: What are the main differences between the roof prism Sky, Hawk Pro and Ranger Pro binoculars' series? 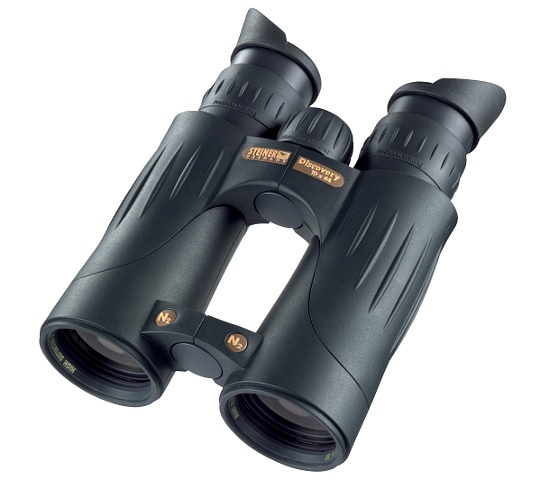 A: Ranger Pro is especially designed for hunting and SkyHawk Pro for Bird watching. From this follows that both binoculars have a different coating (light- and true colour transmission). Furthermore is SkyHawk Pro equipped with “eco glass”. The use of “eco glass” with increased index of refraction results in higher resolution, contrast and true colors which are mostly requested by professional bird watchers. Ranger Pro is typically designed for hunting and SkyHawk Pro for bird watching. 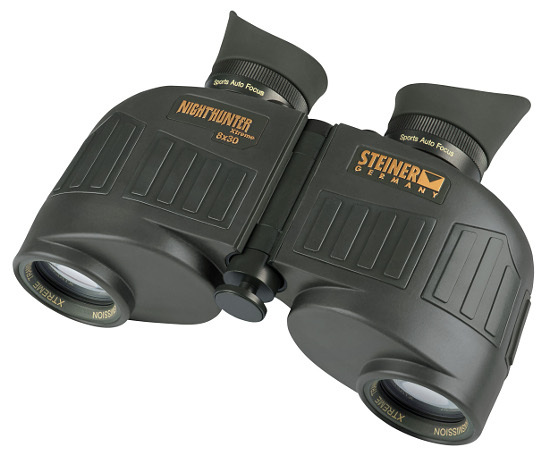 Steiner SkyHawk Pro 8x32 binoculars. Q: In the case of roof prism binoculars set in the Schmidt-Pechan system one of the surfaces must be covered by a reflective layer. Different companies boast about using different coatings - silver or dielectric. What kind of coatings are used by Steiner and what's their efficiency? A: Steiner uses different mirrors depending on the field of use. Our high end products are all equipped with dielectric mirror providing an utmost total reflection with nearly any loss of light. Q: Our transmission tests show that Steiner company coatings, used in the most expensive pairs of binoculars (e.g. in the NightHunter series) are among the best in the world and can beat coatings of the most serious rivals. What is the reason behind such excellent results? A: STEINER is the only company worldwide specialized in binoculars only. Therefore our highest objective is to manufacture binoculars to be used by experts without any limitations. Coating and optics design are our core competence and we certainly have a cutting edge in this field. Q: Why do you never include the distance of eye relief in parameters of Steiner binoculars? For glasses wearers it is a quite important parameter. A: All our products are designed with twist-up or foldable eye cups for glass wearers. Q: Serious Steiner competitors like Zeiss, Leica and Swarovski have decided to shorten the warranty period of their products to 10 years. Steiner still offers a 30-year guarantee when it comes to your most expensive devices. Where does this difference in approach stem from? A: Steiner stands for robust and very rugged products in the market. This is reflected in a warranty period of 30 years. Q: How big is the Steiner company? How many people do you employ? A:Today we employ approximately 140 people. Q: Where does the optical glass, used in the production of Steiner binoculars, come from? A: Our raw glass is coming form the best high quality suppliers in the industry. Q: One of the simplest way of reducing cost are savings on quality control which, unfortunately, can be often found even in the biggest companies on the market. How does the quality control looks like in the Steiner company? Do you check every single pair of binoculars produced in your factories or just a part of them? A: We believe the best way to save quality is to produce Quality throughout our manufacturing process. Our quality control is a very important integrated process. Q: Currently most of binoculars, available on the market are waterproof and nitrogen-filled. In case of any damage (e.g. when a device falls down and its prisms are misplaced) the repair had to include dismantling of the binoculars; the nitrogen evaporates in the process. How does this problem is solved in the case of Steiner binoculars? A: Most of our binoculars have a unique Nitrogen pressure filling and include a two way valve system. The Nitrogen pressure filling can be easily checked and refilled at any time if necessary. Strona wygenerowana w 0.862 sek.